Coordinated and curated by Glenn Lewis, Paul Wong and Kim Tomczak with the collaboration of several curators and many artists, this was an all-Canadian festival that animated many spaces throughout the city. 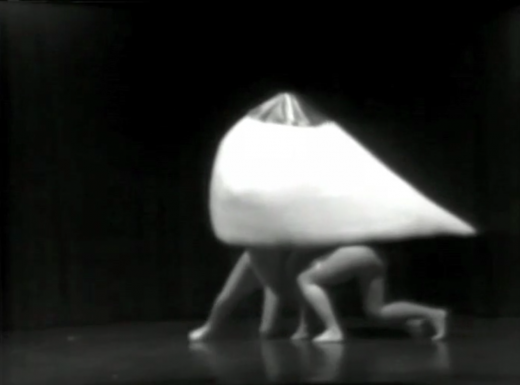 As part of the festival, a selection of “performance” tapes were available for scheduled and on-demand viewing at the Video Inn and Jo Anne Birnie-Danzker and Paul Wong delivered a Performance Video Lecture at the Vancouver Art Gallery. The festival’s opening night at the Commodore Ballroom featured 120 performers. Vignettes by Randy and Berenicci, Byron Black, Anna Banana, I Braineater, Dr. Brute and a host of others. The Tootaloonies appear with 7 pairs of paper bags in formal arrangement, and extract from each an object that is Oh Yes or Oh No. A humourous performance that uses objects and language recognizable anywhere in the world. A performance of a big breast cavorting around the stage on six legs, like a pink bug.